The Arctic Ocean could experience ice-free summers within the next 20 years -- much earlier than previously predicted -- unless human greenhouse gas emissions are greatly reduced, a study warns. Computer models predict climate change will cause the Arctic to be nearly free of sea ice during the summer by the middle of this century, due to a natural, long-term warming phase in the tropical Pacific, in addition to the human-caused warming. However, a closer examination of long-term temperature cycles in the tropical Pacific points towards an ice-free Arctic in September, the month with the least sea ice, on the earlier side of forecasts, according to the research published in the AGU journal Geophysical Research Letters. "The trajectory is towards becoming ice-free in the summer but there is uncertainty as to when that's going to occur," said James Screen, an associate professor at the University of Exeter in the UK. Most models project there will fewer than one million square kilometers of sea ice around the middle of this century, but projections of when that will occur vary within 20-year windows due to natural climate fluctuations. Ocean temperatures in the Pacific always vary from month-to-month and from year-to-year, but slowly evolving ocean processes cause long-term temperature shifts lasting between 10 and 30 years. These shifts in temperature, known as the Interdecadal Pacific Oscillation (IPO), translate into an approximately 0.5 degree Celsius shift in ocean surface temperature in the tropics over the 10- to 30-year cycle. Around five years ago, the Pacific began to switch from the cold to warm phase of the IPO. Screen and his co-author plotted predictions of when an ice-free Arctic would occur in model experiments where the IPO was shifting in the same direction as the real world. They compared these to predictions where the IPO was moving in the opposite direction, that is, switching from a warm to cold phase. Screen says these results need to be interpreted as part of a bigger picture. 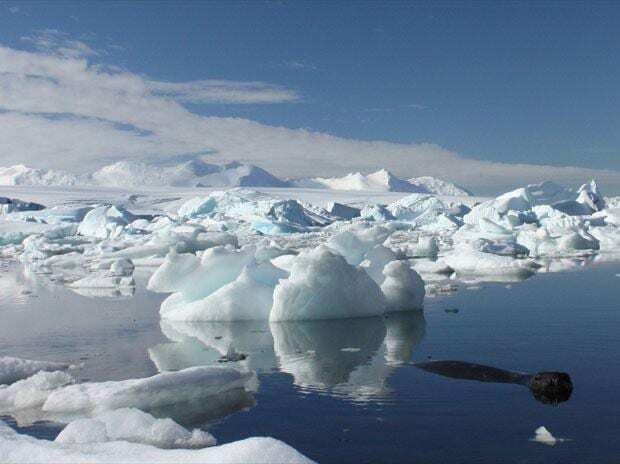 Human-caused climate change is the main reason for sea ice loss, so the timing of the first ice-free summer will also depend considerably on whether greenhouse gas emissions continue to rise or are curtailed. However, the new results do suggest that we are more likely to see an ice-free September on the earlier side of the 20-year window of predictions.